Whether you are a scoundrel, rogue, or spirited adventurer, keep your dagger safe at your side and at the ready with the LARP Leather Dagger Scabbard. The inner lining provides safe storage and a quick withdraw for your weapon. This leather scabbard is designed for narrow LARP weapons, and it has two loops on the top for easy attachment to a belt, baldric, or other strap, intended to hang vertically. Hardened leather adds extra sturdiness and security to the tip. 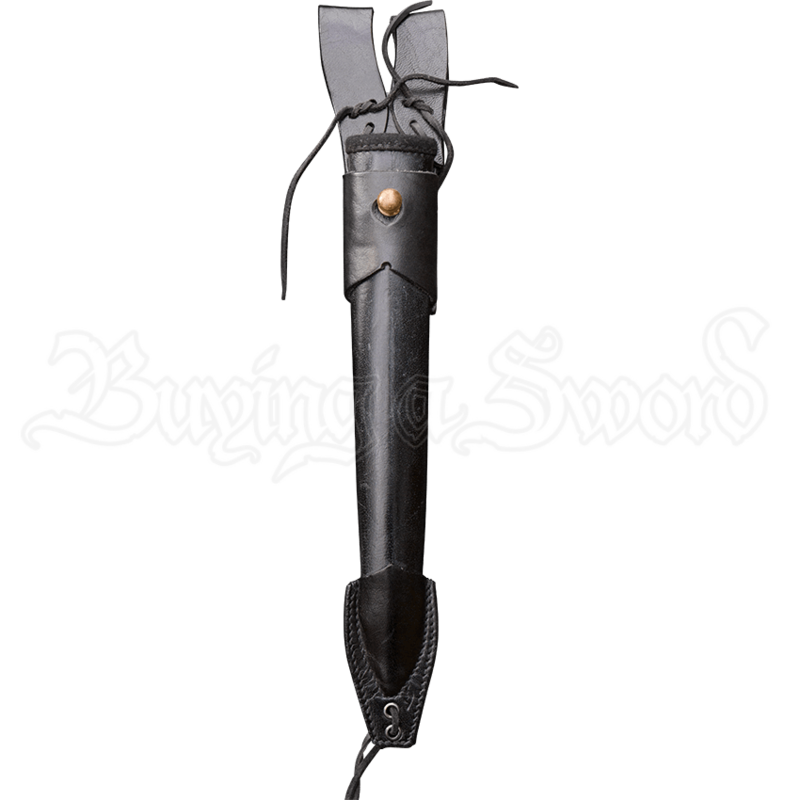 This dagger scabbard can be used either right or left handed, making it a versatile component for almost any LARP or historical reenactment outfit.